When your alarm goes off in the morning, it can be extremely hard to convince yourself to get out of your warm, cozy covers and hit the gym for a morning workout. And when work ends, the desire to head straight home and curl up on the couch with a steaming cup of hot chocolate is something we know all too well. While staying warm and relaxed is a wonderful, essential part of enjoying the chilly winter months, staying sedentary and letting your fitness habit slip away can put a big damper on your health. Along with the holiday months come a sea of parties and a lot of rich food, which can contribute to weight gain and bloat, and leave you feeling lethargic. Exercise is the perfect remedy to keep you feeling your best and healthiest as you enjoy the food and spirit of the holiday season. But what should you do when your motivation to get active is at an all time low? Keep these things in mind when you need inspiration to get moving, and you will stay fit and energized during the cold winter months. Live close to the mountains? Head up for a day or a weekend to hit the slopes. Skiing and snowboarding are both seriously good forms exercise, as they help improve lower body strength and core strength while increasing cardiovascular endurance. If mountain sports aren’t necessarily your thing, try ice skating instead! 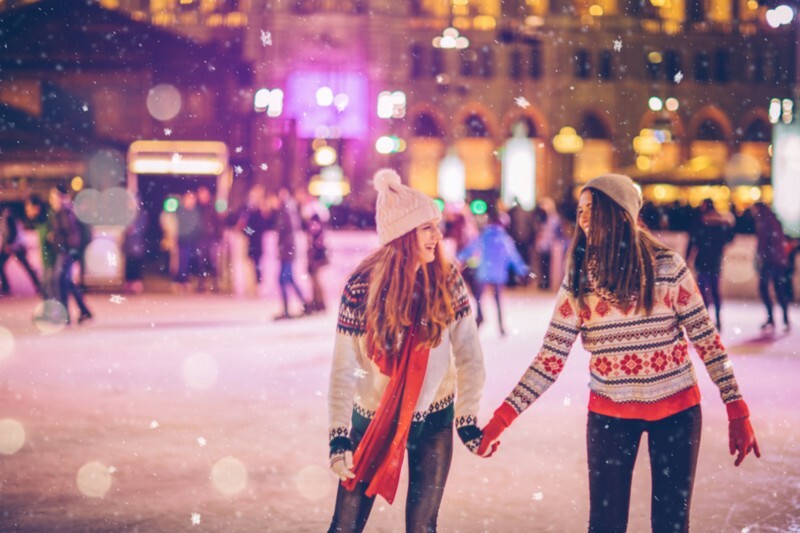 If you don’t happen to live in a region where you can go skating on your nearest frozen lake, grab your friends and family and head to the nearest rink for a holiday outing. Not only is ice skating a sneaky calorie burner, (it can burn up to 500 calories in an hour!) it is also great for strengthening your lower body muscles and core, and most importantly, it’s a ton of fun. It’s all too easy to use the excuse that you’re “just too tired to leave the house” as a reason to ditch your workout. That excuse isn’t relevant anymore when you can bring the exercise straight to your living room! The Internet is full of amazing workout videos and classes, which you can access for free. Pop on a series of pilates, HIIT, or yoga videos for 30–45 minutes, and you’ll get in a full body workout without ever having to get out the door. Treat yourself to some high quality winter workout gear. 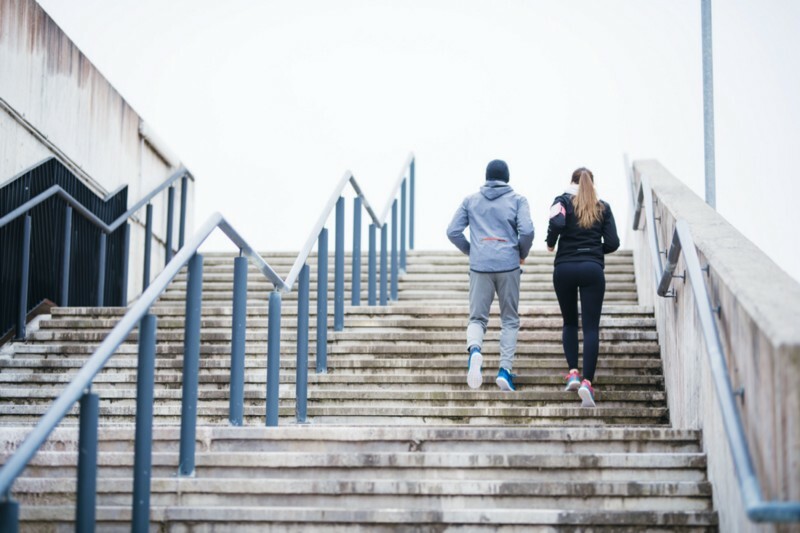 Investing in your fitness apparel can make you more likely to go outside to get in your exercise for the day; no longer do you have to be worried about freezing on your run. Outdoor activity still not your preference? Hit up a Bikram or heated yoga class. You’ll be much more motivated to trek to a workout class when you know that you’ll be warm and toasty as soon as you walk through the studio doors. Want some more fitness inspiration? 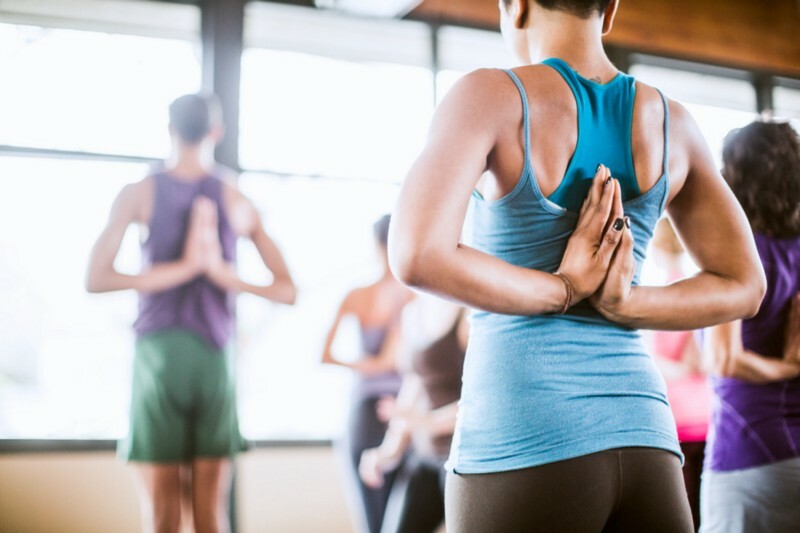 Check out these 10 reasons why you should practice more yoga, and these 6 motivations to workout that have nothing to do with physical appearance to help kick your winter fitness habit into gear.